In his 2017 State of the State address, Gov. Gary R. Herbert challenged Utah businesses to create 25,000 jobs in four years across the 25 counties that make up rural Utah. From the top of the state to the bottom, economic development teams have been working alongside the governor’s office and its 25k Jobs Initiative to either create or rework their individual counties’ economic development plans. 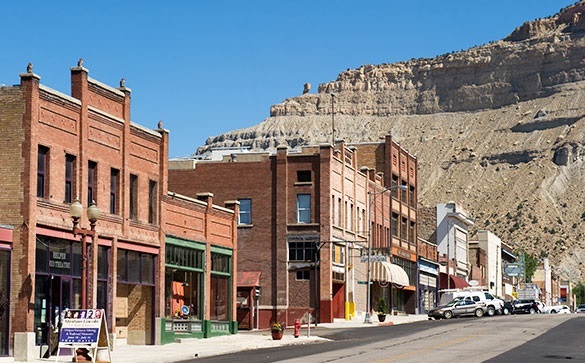 By reinventing themselves or building on their already existing strengths, counties across Utah are finding ways to diversify their economies by increasing opportunities for residents, current and future. Carbon County is well known across Utah for being a coal extraction Mecca. And while that industry is still the backbone of the county, changes are being made to continue to diversify the area’s economy so that it’s not completely reliant on extraction alone. Carbon County Commissioner Jae Potter says while the county’s coal market is stable, it has been slowly declining over the last eight years, which has led the county to look in other directions. The county has been involved with the University of Utah in a carbon fiber project. The university received a federal grant to study the ability to take coal and use its byproduct to spin carbon fiber that can be used in the auto industry, airline industry and outdoor recreation industry. Carbon County has also been involved in a project with USU, which is working to take bituminous coal—which Carbon County has plenty of—and produce coke, a fuel with few impurities. Read More…..